There's no denying the exertion and skill involved in a ballet performance. And while you won't find dancers competing on a pitch, there are undoubtedly similarities between a thrilling gymnastics routine or a synchronized swimming performance and a polished dance - yet ballet professionals at the peak of physical fitness won't be competing at the Olympics any time soon. But can ballet ever be viewed as a sport? Or is it purely artistic pursuit? Dance critic Lyndsey Winship and fitness writer Lottie Murphy duel it out. Ballroom dancing may have long been pushing for inclusion in the Olympic Games, but whatever the IOC says, you'll have a hard time convincing me that dance is actually a sport. Dance may be full of competitions, it may be part of a school's PE curriculum, it may be lauded by government campaigns as a weapon against obesity, but all of this is missing the point. Yes, dancing is an incredible way to get fit. Yes, it demands the supreme command of precise physical feats. Yes, sometimes you can even give it a score. But while dance can be viewed from a sporting perspective, there's no question that it is truly an art. Usain Bolt crosses the line first and his win is definitive. But line up six Giselles to dance in turn and you won't get a winner, you'll get six different worlds opening up to you. And the person sitting next to you will see something entirely different. Dance is an art precisely because you can't be definitive, specific or objective, as much as we might try. Margot Fonteyn didn't lift her legs very high, she would never have won a kicking comp with Sylvie Guillem, but she brought something else entirely – grace, line, ineffable presence and subtle interpretation. Sport can trigger emotional responses: nailbiting tension, awe, surprise and euphoria. But it doesn't take you beyond the field, the court or the pool. It lives intensely in the moment and it's completely literal. And it's about the what, not the how. The execution is just a means to an end. Art can live intensely in the moment too, but it also transcends it. It expands outwards, into other times, places, thoughts and senses. And that's important, because if we couldn't move our imagination beyond the here and now, we'd never create anything new, couldn't empathise with people who aren't on our team, wouldn't explore the vast grey areas between right and wrong, win and lose. Sport is about staying within the lines, art is about transgressing them. Sport is about sticking to the rules, art is about breaking them. Watching Olympians in action is all about celebrating the superhuman. Dance, by contrast, uses the amazing possibilities of the body to speak to us all about being human. Former dancer and fitness guru Lottie Murphy says that ballet is no different from any other sport. When I was an aspiring ballet dancer at school, I would get so enraged with boys on the football team telling me they thought ballet was easy. I worked my body so hard, training every single night and all weekend in the dance studio. The physical exertion and skill that is required as ballet dancer is no different to any other sportsperson. When I trained at Central School of Ballet, you find the same competitiveness in the ballet studio on a football pitch or a running track. I’d only be chosen for a role if I was the best dancer for it. Ballet is a pretty killer workout and it’s becoming a popular choice on the fitness scene in London. Ballet barre studios are popping up everywhere due to the incredible benefits the workout has on the body. A barre class involves isometric training which is when a muscle contracts while staying the same length, for example, holding your leg out to the side or in front of the body, just like a ballet dancer would. As most of the workout is done standing at the barre, the stability needed also means it’s a great workout for your core and balance. Ballet dancers are extremely fit – leaping and jumping for a two hour performance requires a lot of energy, but even the most simple-looking of poses can require huge muscular strength. Even for amateur dancers, the barre improves your cardiovascular fitness as there’s no time to rest – each exercise flows into the next and class lasts for an hour. Ballet is very testing on the body: at the end of a day rehearsing and performing, you’re exhausted. But dancing doesn’t just challenge your physical endurance, it also tests your mental strength. Dancers need to focus on coordinating steps as well as maintain a high standard of technique. So you think ballet isn’t a sport? Well show me the splits, leap 5ft in the air, perform triple pirouettes, hold your leg up by your ear, lift another person over your head and stand on your toes! All while looking graceful and at ease... then tell me ballet isn’t a sport. Do you think ballet is an art form or a sport? Lyndsey Winship is the current dance critic for the Evening Standard and also a regular contributor to The Guardian. Her book Being a Dancer is a compilation of advice from some of the biggest names in dance. Follow her on Twitter. Lottie Murphy is a Pilates instructor and blogger. Her website features healthy recipes as well as a series on YouTube videos on nutrition and exercise. Follow her on Twitter and Instagram for fitness and health snaps. The correct technical response, I suppose, is to say that the assertion is a "category error". Ballet is performance art. The fact that ballet dancers are fitter and tougher than many sports competitors doesn't mean ballet is a sport. Sport is by definition competitive, and has winners and losers. Ballet performances aren't competing with other ballet performances for winners' medals. Isn't it the blinding obvious Peter? The "content " on the ballet section of ROH is so dreadful I can't stand reading it. I have always loved this question, but i still cannot find a correct answer. As a dancer myself, I can say it truly is an art, but it requires the essence of sport, if that makes sense? The fitness of a professional dancer is equal, if not greater, than an olympic athlete, but we also need a greater control of that fitness to be able to use it in the correct way, with the correct feeling. I have given this debate great thought recently, and to me it is clear. Ballet is an art. However, ballet dancers are athletes (and artists of course!). Athlete definition: a person who is trained or skilled in exercises or sports requiring physical strength, agility, or stamina. Exactly! Ballet is an art. It has to be. It is about so much more than the physical feats involved. It's about all human experience. But because of the physical feats involves there's no doubt the dancers themselves are athletes as well as artists. Ballet is an art form. physically created art. It's about learning skills to perform its art, thus the name performing arts. Similar to learning drawing skills and using them to create a masterpiece etc. It has elements of both sport and art. Sometimes the dancers are gymnasts, other times they're actors. Ballet is an artform requiring a great technical proficiency, like opera singing. The physicality of ballet training may resemble sports training and there may be a competitive element in striving for the principal roles but ballet is so much more than that. In the case of traditional classical ballet an audience is not supposed to be aware of the effort involved and as in Giselle for example we are transported into a land of ghosts and tragedy and our emotions are involved, not just with the story but sometimes with the sheer beauty of movement we are seeing. Both sport and ballet require immense physical effort. But the art of ballet, and (in my opinion) it is an art, is in making it look easy. The tremendous effort required is disguised to bring us a performance of beauty and grace. We may admire athletes for their strength and prowess, but we can see how much it costs. In ballet, we can't (or shouldn't!). That is the art - to make the audience feel they are watching something magical without being aware of the huge physical effort involved. Both elite sport and professional ballet require significant physical (and psychological) preparation and training. In my opinion, a huge amount could be learned from the field of elite sports in terms of how athletes are trained and prepared for competition. However, broadly speaking, sport performance outcomes are quantitative (i.e. : as long as the athlete is able to reach, or beat, a certain designated measurement) they will obtain a desirable outcome (i.e. : a prize, or medal). Athletes do not have to tell a story whilst performing, and it does not matter if their muscles/body shape is rounded or elongated as long as they can reach the quantitative objectives. Indeed, ballet dancers have to comply with a desirable level of technical ability but they also need to be able to 'narrate' the ballet they perform through gestures, and their bodies have to look the part (aesthetics). The standards in ballet are mostly subjective, and vary from one company director to the next. Whilst ballet certainly has some elements of sport's training built into it, and some contemporary choreographers can demand 'gymnastics-like' movements from their dancers, ballet in itself is subjective and demands artistry and aesthetics only commensurate with an art-form. The standards in ballet are mostly subjective, and vary from one company director to the next." Paula, while it is true that tastes from director to director are virtually random, it is also true that this is so because most of them are -clueless- as to the history, nature and aesthetic of ballet: why? Because -Classical- Ballet is the standard, not simply "ballet". It is literally -the- standard, in which there are only a few methods by which it is taught,a nd professionally maintained that are accurate to classicism. Most directors, ballet masters and educstors simply have not taken the time to further post-dance career education to have the "chops" to know this. Yes, there is post classical (Cecchetti) demi classical, neo classical and modern ballet (Balanchine) and there is contemporary and post modernist ballet. There are thepeutic ballet and choreographic ballet types of training...but they -do not- train finished ballet dancer. But, -none- of these refect the foundation of what ballet is and must be maintained to support these splinter-genre balletic sub-types. Thid is why the west is soooo far behind Asia, Latin countries and Russia. They acquired true classical method that originated in France, and only then use the sub-genre as secondary training. Ballet is most definitely an ART! What else combines music, costumes, decors, lighting and the visual delight of exquisite bodies moving through space as light as air? Certainly not football!!! Ice dance / synchronised skating. Both of these have very a strict technique but marks in competition are half for technique and half for interpretation of the music and performance. Ice dance is an Olympic sport. Synchronised skating is bidding for IOC recognition. If I understand Peter Vintner correctly he’s referring to Gilbert Ryle’s concept of a category error or mistake, saying that ‘sport’ is a category into which individual sports, eg. Gymnastics fall, just as ‘Arts’ is a category in which individual art forms eg. Ballet and Opera finds their place, and that it makes no sense to compare a category with an element from another category. Having watched the Olympics we have heard much talk about the artistry of various athletes, and the balletomanes amongst us often talk about the athleticism of an individual dancer but this doesn’t mean that dancers and athletes are no different as Lotte Murphy implies. I think it probably is a bit of a non-question as Mr Vintner implies but it’s one that has produced a really interesting debate with some great comments and I for one have thoroughly enjoyed it! What a ridiculous debate. It makes the ROH website hard to take seriously, Maybe the debate should be: How well and how professionally is the Royal Opera House and its resident companies being run? Is the ROH top heavy with administration? Whose idea was it to even think that ballet as an art form or a sport should be considered suitable as subject for discussion? I would think this discussion is entirely relevant. 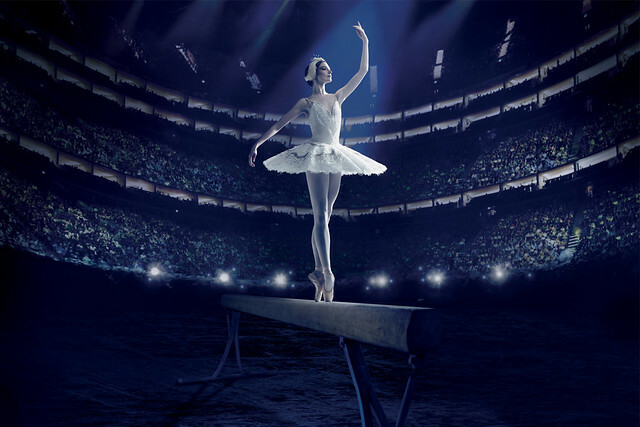 The Royal Opera House gets significant public funding to support and promote ballet as an art form, to maintain and make it available as part of the nation's artistic heritage. It is therefore extremely important that it engages in current debate as to what that form is, how it is perceived, and how best it may be served and presented. Surely the ability to take account of this wider picture and respond accordingly should be an important measure of whether the Opera House is effectively run. The athleticism of ballet dancers should be viewed as a by-product of striving for clarity and authenticity of expression through dancing; not as an aim. Technical mastery is not simply defined by the ability to turn or lift your legs but requires having the sensuous awareness and body knowledge to be able to do in the moment whatever the expressive intention and communication of the dance requires. Unlike in track and field events, more is not necessarily better. Great dancing requires artistic awareness and judgements as well as physical skills, and the technical know-how which facilitates the integration of these abilities is best developed through dancing rather than fitness training. Notions of “the correct way” and “the correct feeling” are highly debatable and always dependent on context. The debate may or may not be ridiculous but I for one have enjoyed reading the comments made and joining in. Living in the backwoods of Dorset I have very little opportunity to talk about my favourite subject! Isn't it the same with handcraft and art? You need handcraft to make a work of art, but it is not art itself as in art there is something more happening, a form of feeling and communication beyond words. If you can not feel and see freedom in a grand jeté, it is just sports. Bill Mohr's comment (26/8) says it all. Did the ROH Chief Exec or Governors of the Royal Ballet Companies approve this? If so, they need to think much more carefully about their leadership. If not, they need to keep a closer eye on the work their departments produce and intervene to stop the Opera House looking very, very silly. This is just not on. Thank you for your feedback. We produce a number of different features to appeal to our diverse audience and understand we can't please everyone with every feature published on the site. In this case, we were responding to the wider discussions around the nature of sport and art in the context of this summer's Olympics. We're pleased the debate has prompted a wide range of responses, and has provoked a number of considered comments on social media, encouraging seasoned lovers of ballet and newcomers alike to think in new ways about the talent we present on stage. I don't believe that there can be any doubts that ballet is an art, requiring great athleticism. That is not in question. Unlike photography, which is not art, but a skilled manipulation of a scientific instrument, such as radiography or ultrasound. My question is to the performers. 'What do they want it to be' and 'thus it shall be'. If I may turn the question around and ask if sport can be art. There are a number of sportsmen/women who could almost be classed as 'artists' (Lionel Messi in football is an obvious current one). For me at least, a true work of art must be a balance of emotion and technical ability that allows the viewer/listener an insight into (aspects of) human existence and, importantly, reveals more each time it is revisited. A sporting event, however enjoyable at the time, rarely warrants a repeat viewing once the result is known as the reaction to it can never be replicated or felt as deep. However, having said that, and in relation to ballet and sport, may I recommend a Rhythmic Gymnast by the name of Yana Kudryavtseva who performed at the recent Olympics in the Individual All-Round event . The music in these routines may be hackneyed, there is no 'story' to the choreography, but as a perfect balance of sport and art (or in the space where it is neither one nor the other) her performances were sublime (save for a small error in the 3rd of her 4 routines that cost her Gold - there's a story!) and are worth re-watching simply to appreciate the outstanding technical ability she showed. I felt after watching her performances that I had witnessed an artist rather than an athlete which is maybe evidence that you can be both after all! Her performances are still available to be viewed on BBC iplayer within the complete Rhythmic Gymnastics Final programme. Peter, back in 2012, after the London Olympics, dance critic Ismene Brown discussed a very similar question in an article in The Arts Desk. Among those sportspeople she might have categorised as artists were Olga Korbut, Roger Federer, the highjumper Blanka Vlasic, David Gower, Evonne Goolagong and several footballers. Ballet, although practised by supreme athletes is an art form not a sport and one of the most if not the most physically demanding of all art forms. Sportspeople work in competion. Ballet dancers work in concert. Both ballet and sport require sound training and dedication to arrive at peak physical performance levels. When a choreographed ballet role is danced with emotion, feeling and sincerity and the audience is moved..... Then surely that is an artistic performance..?? and mostly an opponent to confront. I have experienced artistry in sports a few times . Driven by shear passion. One magical moment was when the French Rugby team went flying and leaping so swiftly and elegantly the full length of the field in Sydney !! (over 15 years ago). Oh what a magical "Ballet" performance.!!! However their is no artistry in sport when driven by greed to win at any cost and sincere passion no more..
Ballet is art. Some sports come close to art. But they are really a poor relation. Is the Eurovision Song Contest a sport? Of course not! This whole debate is another waste of effort derived from the impoverished mind of someone in media sales who wants to make an impression on their boss. It is unique in that it is both. In a way the ultimate expression of human potential in all aspects. I would never just define it as a sport. Athletic, artistic, musical, dramatical, spiritual.... so much and we all know that. Anything else just dumbs it down for the sake of appealing to the masses. Ballet is an art and should remain in the arts' realm, even when the athletic aspect is emphasized through contemporary choreography. It appears that the views are unanimously in favour of art. I think that ballet is both an art form and a sport, because I think there is a lot of athleticism in ballet. I have seen some performances that looked very athletic, as well as beautiful. It is ballet. There is a common misunderstanding that something is a sport, simply because it is athletic. Indeed the official Public body, Sport England, derived from an official charter for sport in Europe, recognises such activities as : angling, darts, model aircraft flying, gliding, hot air ballooning, shooting, archery, bowls, billiards, snooker and darts, as being sport. There is a legal case in the High Court, to judge bridge as being a sport. Unlike ballet, none of these activities are remotely athletic. There is no argument for ballet to be reduced by such argument. It is indeed a fine art form, requiring a massive amount of athleticism and closely associated with great music, another art form, not a sport, nor a leasure activity. For me Ballet is my life expression, if I want to do sports I ussually do running, basquetball, ride a bike or swimming. This activities need much of my energy and challenge me, while dancing ballet is my own creation, I use technique for the performance and the movements and use of the space and expression of the dance is all my own spirit, nobody stop me. Okay, is habitually chewing gum a sport? What about brushing teeth. Oh, I see; too mundane, huh?! Okay, pole dancing. No? Oh, art forms you say? How about Classical Music? Voice? Acting? Painting? Sculpture? Oh, they're not athletic enough, either, hmm? This is not a debate, it is fact. Those who are on the lunatic fringe who state that classical ballet is a sport is like saying that chickens are cows, the moon is the sun, the world is flat, there is no global climate change caused by emissions, and JFK and Elvis are lovers, living in an assisted living facility in Pocatello Idaho and are plotting to over throw the world! Sheesh! Check yourself into a rehab facility, fer criminey! Classical ballet is an athletic art form. Period. The athleticsim is the only parallel to sport. Thou dancers may compete, (inappropriately) for roles, ballet as an art form, is not competitive, and it is not about winning or losing that are dysfunctional abstract concepts, hell bent on consuming the fools who are involved with it.. It is about performing and communicating through a "voice" of aesthetics embedded in the concept of art. If a ballet dancer competes in an IBC, it is the same reason a pianist competes in the Van Cliburn completion: to get more and better work, and/or continuing education. It has -nothing- to do with competing as pure competition snd -never- in terms of sport. If it is, they are dancing for all the wrong reasons. "Sports and competition are the amphetamine of the masses, administered to create violence, chaos and to self-cull the herd." Great article, I am a Specialist Performing Arts Physio and so work closely with both dance and sporting professionals. There are so many links and correlations within their training schedules, usually both rigorous, challenging and requiring long hours of training. It's just the individual requirement of the sport that changes (eg. flexibility, strength, range of movement, aesthetic nature of movement quality, endurance, stamina etc). I specialise in strength training in dancers and my thesis for my MSc looked into strength training in dancer to promote jump height and aid in injury prevention. Both this and hypermobility are my clinical interests and I also loved Lottie's input for this article. Ballet is not sport. Ballet is art. Simply because the purpose of Ballet is not the purpose of sport. Ballet is a language. Sport is a competition. Both, of course. Sport is fundamentally "play", and so (when done well) is "art" and dance. Both can require the skills and strength of an athlete. 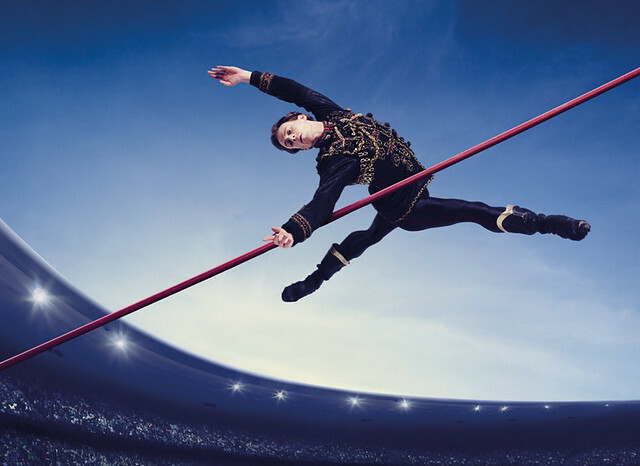 Olympic-level athletes are performing art too. If you've ever tried to master a sport, you'll know that at the highest level it is also art. Ballet draws its strength from both disciplines. The exceptional dancers are those who have built the core strength to achieve the positions and transitions they need to in order to express the art of what they are doing. It is a question of definitions and definition does not come easily to art. Art today struggles to retain purpose and relevance in the face of being so utterly ill-defined that anything can be labelled 'art'. Sport, I think, remains rather more firmly defined and probably struggles to envelope ballet within its folds. Ballet is art, it should be art, it is not a competition and it is peculiar even amongst other art forms in that beauty is often its driving force; sport is most often driven by competition (friendly or otherwise). However ballet is undoubtedly a performance art in which physical excellence is a necessity. As a dancer myself, I'd say that ballet, and all dance, is a combination of athletic prowess and artistic ability. It takes incredible strength, fitness, and command over the body and it also expresses emotions and a story in the form of art. (I even have a shirt that says"athlete+artist=dancer") I think that everyone has their own definition of a "sport" versus an "art". Personally, I define a sport as any physical activity, and an art as anything that expresses something. When Dance becomes Gymnastics to Music we know the ART Form of Dance is now merely a Sport! Feeling, emotion and Drama in the performance create Dance as an Art. Peter Vintner points out the article makes a “category error,” stating, “Ballet is performance art.” While I don’t necessary disagree that a category mistake was created, I do not think classifying ballet as performance art clears up the argument. He says ballet performances aren’t competitions. What about Youth America Grand Prix or the Prix de Lausanne, two international and extremely competitive ballet competitions? Ballet dancers perform variations and excerpts from established ballets, dressed in costume and exhibiting all artistry and art to compete for medals, accolades, jobs, and scholarships. I think the category mistake is classifying Winship’s argument as a defense for ballet when she was talking about the intention and purpose of dance. Murphy’s argument focused solely on the physicality of the nature of ballet. Murphy also seems to be reacting to negative experiences that by somehow labeling as “not a sport,” it decreased the physical validity and prowess. To me, it seems the real argument is on whether dance should be valued and held in the same regard as sports. After all, it seems to be a matter of equality than a matter of physicality. Dance is both a sport and an art. It depends on the context and the intention of when it is performed to determine whether it's a sport or not. Besides Olympic spirits, sports really need a wining result, and athletes fight for the victory, which is not bad. While, for ballet, it's an art. It's not for winning, but to convey your thinking and emotions to let people feel it, and may get inspirations, understanding, love and etc. from it. They are different at the bottom. But they have common traits. They are salute to human body's beauty and love for life. Ballet is art. Every artform needs some tool. A painer has their hands, brushes and colors. A singer has their voice. A dancer their body. Just because it needs a fit body and is competitive in class it doesn't mean it's a sport. If you had an art class where only one would get the opportunity to become a proffesional, there would be the same competition. And at the end, you perform, you don't compete for a prize. It annoys me when people say ballet is a sport. Yes, the training is sport-like, but we don't dance to do some steps, or to win a prize, and if you do, you'd better stop. We dance to be able to express an emotion, to tell a story. An athlete competes for a medal, doesn't try to communicate with others without words. No brainer. Ballet is an art form. It is about expressing something that touches our soul. What makes a great dancer is way beyond athletic prowess. When you run, jump, swim, throw the weight or the disk, what sensitivity do you touch others and what Beauty transmits? You only demonstrate your strength and dexterity in that activity. Experience dancing without transmitting your sensitivity and touching the sensibility of others and without transmitting BEAUTY, no one will say that you are dancing. Also when dances interpret the sensitivity and CREATION of yourself or others as a musician or choreographer. Art is linked to sensitivity and BEAUTY. This is where you can be sure that BALLET is an ART and perhaps the most complete, because it joins in a fantastic amalgam of other forms of art the musical sensitivity, when you move with and because of the music and interpret dramatically. I’m really torn. Ballet is its own category. There is nothing else like it. You have to have super strong core and mental toughness. When people ask what I do besides school I say I dance; ballet, modern, jazz, theatre, and tap. They say “Wow I do softball I have practice 3 days a week.” I think really I have practice every day. Things like this really ticks me off. No will ever understand us. Ballet is a art yet it is a sport. I agree that ballet is more of an art form, although it requires incredible physical prowess to perform at such a high level. As a Ballerina myself, I am baffled at the ignorance in this article and comment section. To say that the standards for ballet are subjective is ludicrous. Turn-out has a standard. Positioning has a standard. Height of a jump, number of turns, and accuracy ALL have standards. Ballet is incredibly technical and would be just as easy to score as Ice Skating, its sister sport. Yes it is an art! But so is Ice Skating, and no one debates that that is a sport. Yes it has artistry in it, but that can also be scored, just like they already do and have for many many years in ice skating and ice dance. It is incredibly competitive at any professional level, and there are indeed purely ballet competitions all over the world. To say it can not be called a sport is simply wrong. And to say that it is not an art is even more wrong. It is simply both, as is ice skating.